Yes, I'll Take Some Coffee in My Milk - Nekaro & Co. I'm not exactly a coffee aficionado. If it's just a plain up of black coffee... ick. Not a fan. I require a cup of milk/creamer and sugar with a splash of coffee. Store bought creamer can get pretty expensive. On average, a bottle is around $3. I can go through at least two of those a week. 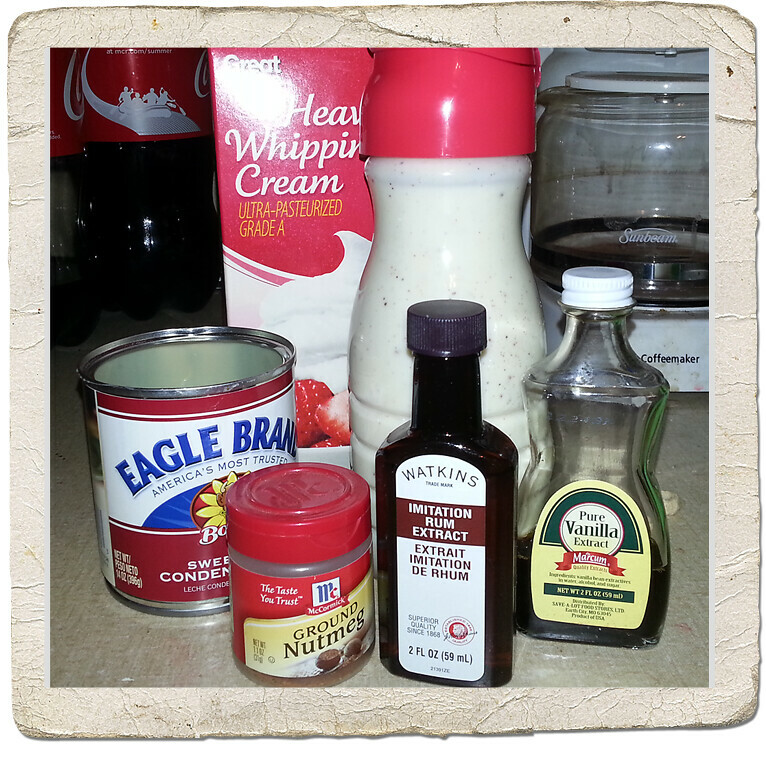 Last week, my MIL posted a website to my Facebook page with do-it-yourself creamer recipes. A quick look at her site shows that WOWZERS this post has been pinned on Pinterest more than 900 times!! Firstly, let me tell you that you need a LARGE container. I reused an old creamer container, but it wasn't the larger size so I had an excess. Luckily my in-laws live in walking distance so I took my extra to them. --The more fat content the creamer the mix. I chose to use heavy cream instead of milk, but I'll tell you now that I think it's too thick. Next time I'll get half & half. I also couldn't find a few extracts that weren't imitation. I suppose if I had been shopping somewhere other than Wal-Mart, I would have found "real" extracts. I chose to make the Eggnog creamer. Mostly because I forgot the chocolate syrup. I mixed the sweetened condensed milk and heavy cream in a 4 cup glass measuring cup. I took a couple of tablespoons of the mix and warmed it in the microwave then added the ground nutmeg to make sure it would mix well. Then added it back to the measuring cup and stirred until it was combined. Next add the extracts and stir, stir, stir! Done. I don't think it tastes like eggnog. It tastes like those awesome butterrum flavored Lifesavers! Mmmm.... butterrum. Now go forth, my fellow coffee addicts and make gallons of flavored creamers for a fraction of the cost!